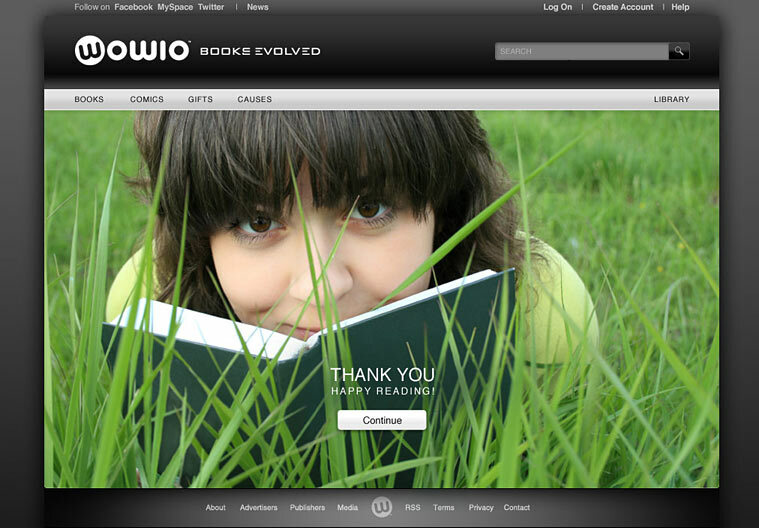 Reimagine an established, consumer-oriented e-book site to more strongly reflect readers’ emotional connection with books and reading while extending existing site values of simplicity, clarity and ease of use. 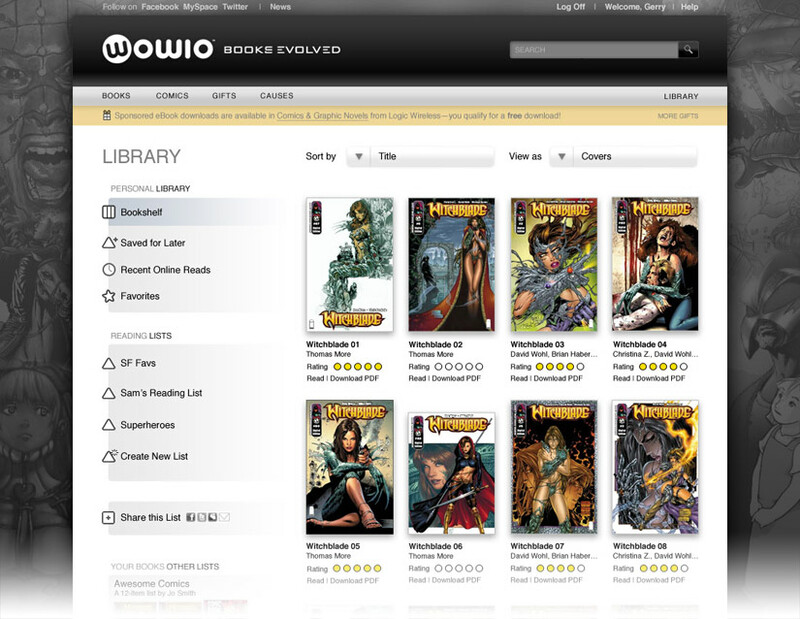 The design must accommodate a deep existing feature set, as well as a significant expansion of capabilities including improved book discoverabiity, a diverse range of sponsorship and promotion opportunities, community-oriented interactivity, customized publisher pages, reader personalization and support for mobile devices like the iPad. 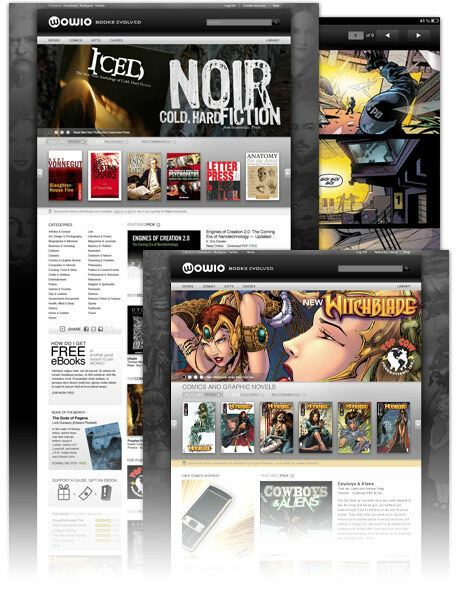 The design was optimized as a platform for presenting the media-rich, visually powerful covers of books and comics, with a backdrop featuring iconic authors or characters that evoke the traditions and past pleasures of the medium. The design language includes monochromatic cues that evoke both the earlier site’s strong branding as well as the ink-and-paper associations with traditional print. A flexible, modular information architecture provided room for feature growth while maintaining a cohesive user experience. 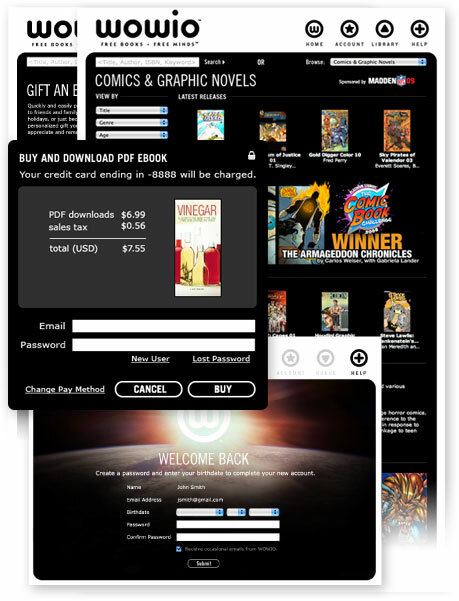 Design user interactions, new functionality, promotional content and information pages for a consumer-oriented digital content service. 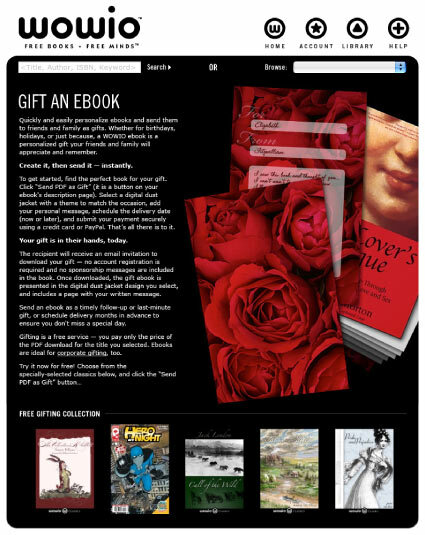 Projects included implementation of a unique content download queueing system, introduction of a commerce system for purchases and gifting, and enhancements of site layouts to enhance content discoverability. This first-of-its-kind service was accomplished with rapid prototyping and development which helped to drive 10× user base growth in 18 months. 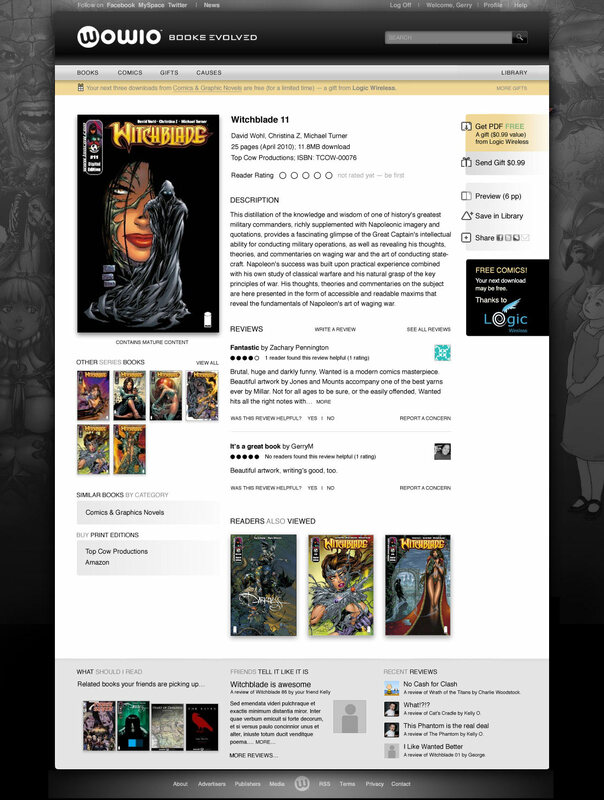 Develop a series of banners promoting new books, comics and site features on a consumer-oriented digital content service. 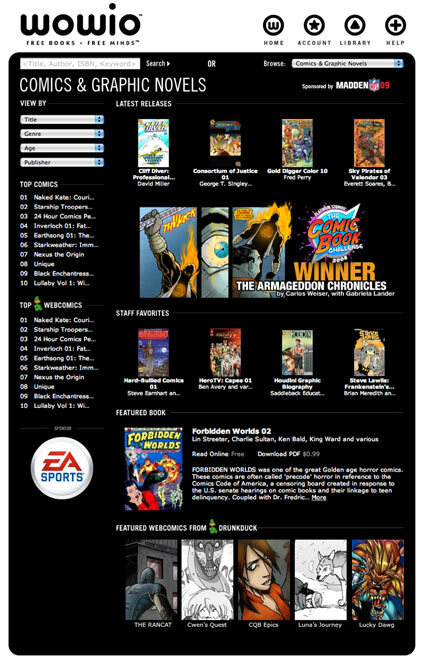 The banners are to appear as an animated series, with additional banners added weekly while older content is retained and shown later in the sequence. 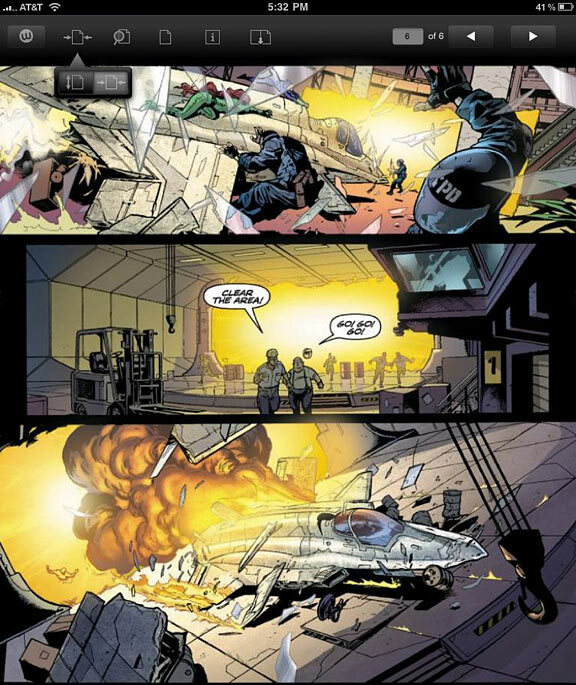 The banners adapt the books’ existing cover or interior art when possible, focusing on strong imagery to stand out in the midst of a visually complex page. The banners’ edges are designed to blend in with the underlying page, creating organic visuals which contrast with the very rectangular and geometric content surrounding them.